Snow on Friday means a busy weekend in Big Bear. 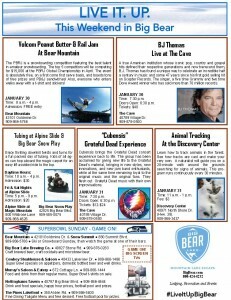 Looking for What to do in Big Bear? And if your Hooked on a feelin’ to see BJ Thomas, he will be performing in the Village.